Using Windows 10 on your systems or laptop will give you a great experience, this operating system contains lots of advance features and services. Microsoft also releases updates for Windows 10 (Anniversary Update and Creators update) in order to making Windows 10 more perfect. If you are a Windows 10 user OR recently installed this latest operating system on your desktop/laptop, then you need to read about some hidden tricks to secure newly installed Windows 10 system. Installing Windows 10 without any error is a good thing but it doesn’t mean that your system gets protected and secured. So it is important to apply some security layers and Set Up a security wall to avoid any problem. In this blog we will learn “How to Secure Windows 10 with few Simple Tricks? 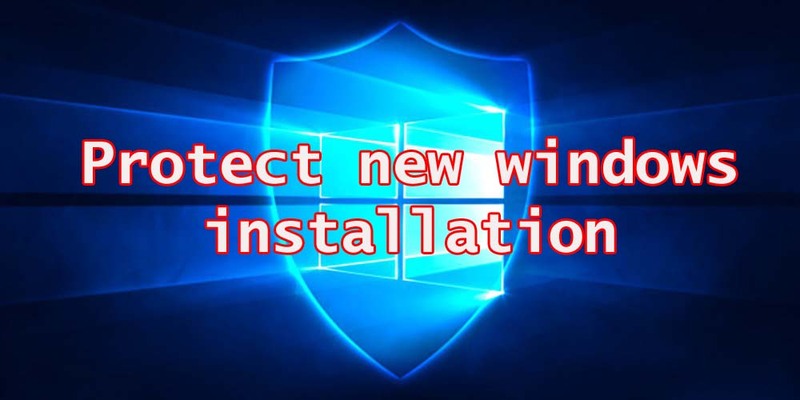 It is always recommended to protect new windows installation from several hazardous things like malware, system errors, slow performance etc. Don’t worry as you can easily make your Windows 10 system secured form any types of issues. Simply go through the below given tips and make your Windows 10 Computer/Laptop more defensive. This is one of the most basic things; make sure your operating system, installed software/apps, system drivers etc are updated. An outdated system is always unprotected, there are several weird things that can happened when system gets outdated. Computer or laptop having outdated OS can easily get infected with Computer viruses & malwares. Click on the Start Menu button and go to the Settings then Update & Security settings and at last Windows Update. In this section, press on the Check for updates button. If any updates are pending for your system then it is available in this section. Download the update and install it. If your system’s drivers are outdated then you will face different errors and problems while operating your PC. System driver works like a bridge between hardware and software, so there are lots of chances for getting error when system driver gets outdated. In order to update system drivers automatically you should go with a professional driver updater tool. 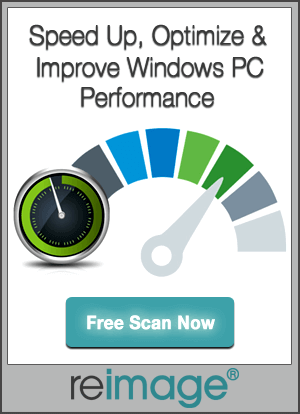 This type of tool will allow you to deal with outdated and corrupt system drivers with ease. Along with system software and system drivers another important thing is installed apps. It is also recommended to check all the installed software for update. Go to their official webpage and install if any update is available. With the help of a little common sense one can protect their computer from unwanted and malicious infection. Some users are always looking for free applications which are also known as freeware programs. It is recommended to always go with genuine apps instead installing freeware software. Every freeware software contains malware codes that automatically get activated when user install the downloaded freeware program. If you want to protect your Windows 10 system from malware related issues then always download/buy software from their official website. While browsing internet you will see lots of unrelated ads and links. Not all the ads are fake, but some of them advertisements are malicious and can ruin your system very badly. If you click on any of them then you will be redirected to any unfamiliar and unhygienic webpage. These WebPages are specially designed to spread malware program. When user visits any of these webpage then the malware program gets downloaded without showing any notification and all. As we above discussed that malware programs are completely unnecessary and there for it should be removed as soon as possible. Use a professional malware killer to get rid of malicious infection from any computer or laptop. Free antivirus or antimalware program is same as the gun without bullets, because they only detect the virus but can’t remove them completely. Purchase a professional antivirus/antimalware program like Spyhunter, kasperskey, Avast and others. Windows 10 also provides a computer security program known as Windows Defender which provides virus removal facility. It is a default antivirus program that comes with the genuine copy of Windows operating system. Choose a standard or admin account to login into your computer or laptop. 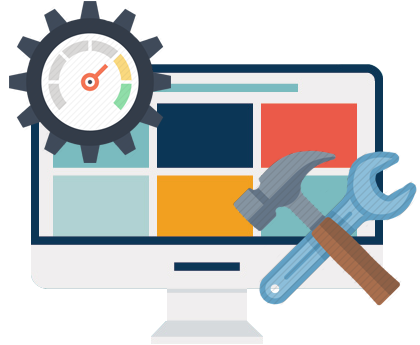 Through this you can prevent other users from doing any unwanted modifications such as changing password, deletion of system files and more. We know that Windows provides different level of rights and privileges for different type of user account. For example: If you logged in into the system with user account then you cannot access the system completely. Apart from this, it is also recommended to set a complicated and tough password for your Windows user account. User Account Control is enabled by default, this Windows service keep an eye on what modifications are going to make to your PC. It keeps track of important changes done over the system like adding or removing any program/application. This service is also responsible for displaying a pops up and asks for administrator-level credential when any important modification is in progress. And you need to provide the correct information in order to finish the installation process. This will also help you to get rid of any malicious infection. If your User account gets infected with any latest malware program then it will help you by preventing doubtful programs and activities from doing any modifications on the system. So it is always recommended to never ever disable User Account Control. After installing Windows 10 if you want to browse internet or go online then wait…. Make sure that your default web browser or web browser you are using is secured completely. Some recommended web browsers are Google Chrome, Microsoft Internet Explorer 10, and Mozilla Firefox. Along with protecting User Account with a strong password it is also recommended to lock the drives of your system. For this purpose you should go with an inbuilt tool of Windows system known as BitLocker. With this you can lock all the drives your system has. Click Start. -> Select Control Panel. -> Access System and Security and click BitLocker Drive Encryption -> Turn on BitLocker. You can direct go to the drive right click on the drive and then select Turn on BitLocker… option from the cascading menu. And after it simply follow the on screen instructions to complete the encryption. All the tips and tricks discussed above are enough to protect a Windows System or Laptop from any types of issues whether it is related to the Security, malware, virus and others. Along with the given tips it is also recommended to use your common sense via operating any computer and be attentive about your system. As if you ignore any little issue then one day it will become more difficult & costs you. So if you detect any problem or errors or security bleach or any other annoying thing on your computer then immediately try to find the solution. That’s all, enjoy your well secured PC.